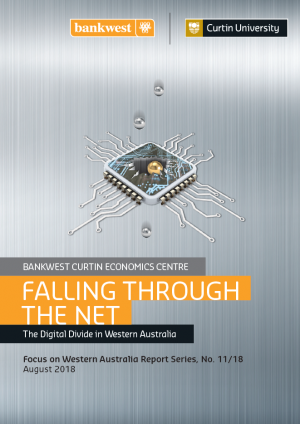 The BCEC report, Falling Through the Net: The Digital Divide in Western Australia, examines the magnitude and key drivers of the digital divide in Western Australia, and highlights potential solutions to bridge the divide for the most disadvantaged groups. Report author and BCEC Director Professor Alan Duncan said while a higher share of the population is now accessing the internet, the impact on those who are not online is deepening. “Access to the internet has increased in Australia over the past ten years, with 90 per cent of households now connected. 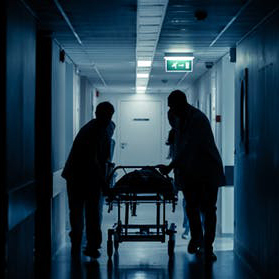 However, as more essential services including health care, banking and government services move online, those that are not connected face greater risk of falling on the wrong side of the digital divide,” Professor Duncan said. Professor Duncan said those who cannot afford to keep pace with new communications technologies, or who face challenges in access by virtue of location or ability, are at risk of being excluded from the opportunities afforded by the new digital future. “Many Australians, including the elderly and single parents, face challenges in accessing digital services. Only 61 per cent of older age Australians currently access the internet, which may mean reduced access to government services and information,” Professor Duncan said. The divide is also seen between populations in major cities and those who live in rural and remote areas of Australia, primarily due to a lack of sufficient infrastructure. “Across very remote parts of Australia, only 69 per cent of households have access to the internet, although WA is punching above its weight on this front, with 83 per cent of very remote households connected,” Professor Duncan said. Report co-author Dr Daniel Kiely, Senior Research Fellow at BCEC, said the report also highlights the divide between high and low income earners. “Only 74 per cent of the lowest income earners in Western Australia access the internet, compared to 99 per cent of the highest income earners,” Dr Kiely said. “Mobile and internet access comes at a considerable financial cost for some of our poorest households. Using measures similar to how housing stress is calculated, we found that 10.5 per cent of single parents and 12.2 per cent of single women experience some form of digital stress. The BCEC Small Business Survey highlights that internet quality and coverage does vary significantly between Western Australia’s regions. “The report found 26 per cent of small businesses in the South West and Pilbara regions rated the quality of their internet infrastructure as low, compared with 25 per cent in the Wheatbelt and only 11 per cent in Perth,” Dr Kiely said. “Poor internet access presents a particular challenge for businesses in the agriculture, forestry and fishing sector, with 27 per cent rating the quality of both mobile and internet services as low. Small and micro businesses are more reliant on internet sales than larger firms, with 30 per cent earning more than 50 per cent of their revenue online, compared to about 25 per cent for larger companies. Dr Kiely said that while online trade was becoming a larger part of business practice, data and internet security didn’t appear to be a priority for smaller businesses. “Three in four small business owners consider cyber security to be of little or no relevance to their businesses, which may leave them open to cyber security breaches and data theft,” Dr Kiely said. Professor Duncan highlighted the policy recommendations outlined in the report, including the need for a state-wide digital strategy. “The information highway is every bit as important as the freeways that connect us. Digital infrastructure should feature as a critical element of governments’ overall infrastructure plans, particularly across the regions,” Professor Duncan said. “There is a growing need for training and support programs to build digital literacy across all sections of society, and to maintain alternative support arrangements to ensure government services remain accessible to all, especially those most at risk of falling through the digital net. 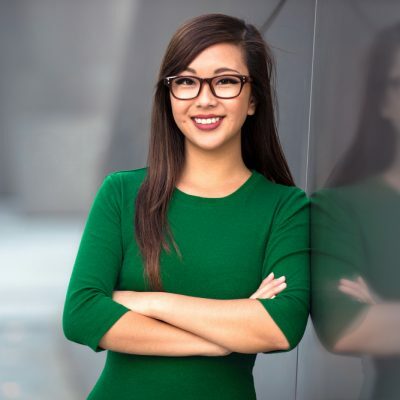 “Coordinated schemes are needed that offer training to small business owners in the benefits afforded them by digital technologies – as well as the risks they face in the new digital world. 90 per cent of Australian households had access to the internet in 2016, up from 71 per cent in 2006. Across all states, levels of internet access are higher in the major cities and inner regional areas relative to more remote areas. 8 out of 10 of households in WA’s most remote regions access the internet. This compares to 7 out of 10 households in the most remote areas of NSW and SA. Those regions with lower (higher) internet access have higher (lower) proportions of Indigenous people, and are more likely to live in more (less) remote areas. WA saw a 10 percentage point increase in internet access for the 65+ age group between 2012-13 (51 per cent) and 2016-17 (61 per cent). 74 per cent of those in the lowest income quintile in WA access the internet. This compares to 99 per cent for those in the highest income quintile. There has been a sizeable improvement in internet access for those in the lowest income quintile in WA, increasing from 59 per cent in 2012-13 to 74 per cent in 2016-17. 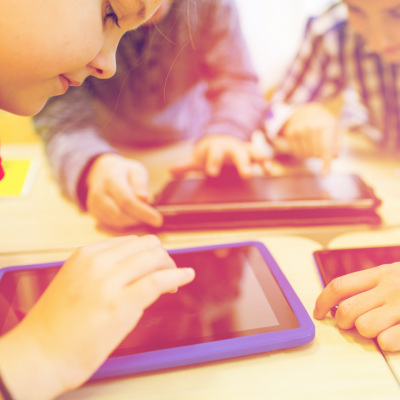 In WA, those educated to Year 12 or below have higher internet access (84 per cent) compared to their counterparts across all other states, with the lowest being in NSW (77 per cent). 76 per cent of WA’s unemployed access the internet – 20 percentage points lower than those employed (96 per cent). Banking (80 per cent), social networking (80 per cent), entertainment (79 per cent) and purchasing of goods and services (73 per cent) are the most popular reasons cited for accessing the internet. A larger share of internet users in remote areas of WA access the internet for health services, social media, and for purchasing goods and services, compared to those in urban centres. In 2015-16, 36.8 per cent of those in the lowest income quintile used the internet for health services, compared to 55.4 per cent of those in the highest income quintile (an 18.6 percentage point difference). For the non-Indigenous community, almost 78 per cent of people lodge bill payments online. This compares to 36 per cent of Indigenous people – a difference of 42 percentage points. 21 per cent of non-Indigenous people access information or services related to healthcare online. This compares to only 8% for Indigenous people – a 13 percentage point gap. Between 2003-04 and 2009-10, the average WA household has almost doubled their total consumption of ICT. From 2009-10 to 2015-16, total expenditure decreased for all households but the decline is even sharper for singles (42 per cent) and single parents (33 per cent). Although the typical level of digital spending for the poorest fifth of families is around $14.17 per person per week, 1 in 10 spend nearly three times as much – at least $36.89. The incidence of digital stress is most pronounced among single parents (at about 10.5 per cent) and single women (12.2 per cent), the latter rising by some 7.1 percentage points in little more than a decade. 95.4 per cent of all businesses reported having internet access in 2016-17. Businesses with 0-4 employees are more likely to earn greater than 50 per cent of their income by the internet than larger businesses. Smaller businesses are more likely to report no IT support provided. Businesses with 0-4 employees are the least likely to have management practices that support ICT, with 76.1 per cent reporting no management practice implemented in 2015-16. For businesses with fewer than 200 employees, a lack of access to digital infrastructure is reported as a significant factor affecting IT use. 18.1 per cent of small businesses in WA rated their mobile quality as low. Across Western Australia, 20 per cent of small business owners rated their broadband as very high quality and 19.2 per cent rated broadband or internet as low quality. The Gascoyne region had a high share of responses rating the quality of broadband as low (30.8 per cent) and very high quality (23.1 per cent) suggesting a sharp divide between Gascoyne residents. The agriculture, forestry and fishing industry has the largest share (27 per cent) of small businesses rating both their mobile and internet services as low. The volume of data downloaded by Australians has increased by more than 500 per cent in five years. Competition is expected to improve quality and reduce prices, thereby reducing digital inequality. Australian governments should consider whether additional privacy requirements are appropriate in Australia to meet international standards. Digital infrastructure must be part of an overall infrastructure plan. 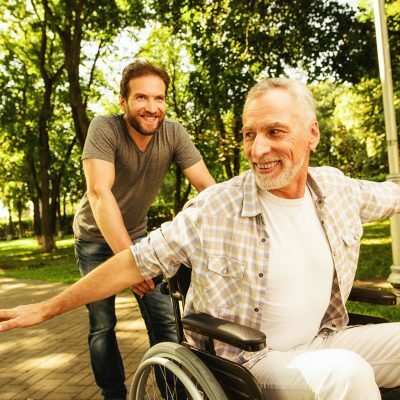 Digital technology impacts all aspects of the lifespan and crosses multiple government portfolios. There is a need for an integrated digital strategy.